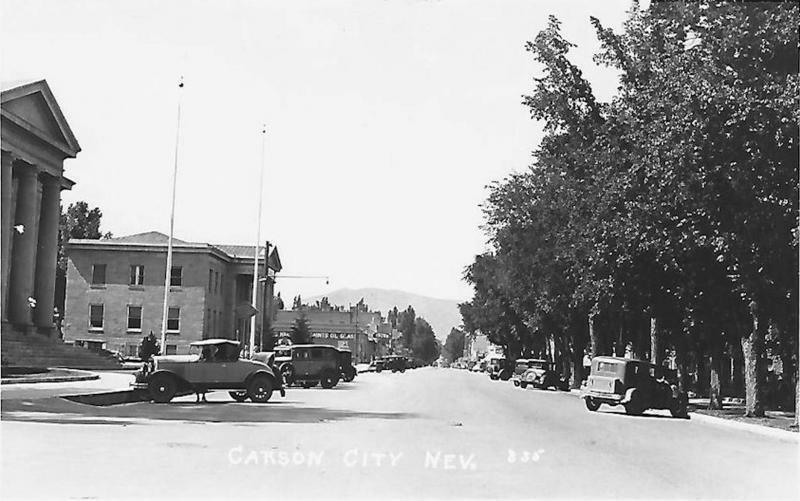 Looking north on Carson Street from Second Street. The Capitol is hidden in the trees to the right of the photo. On the left are the Ormsby County Courthouse (in the distance) and Heroes Memorial Building (foreground), both designed by Frederic DeLongchamps.